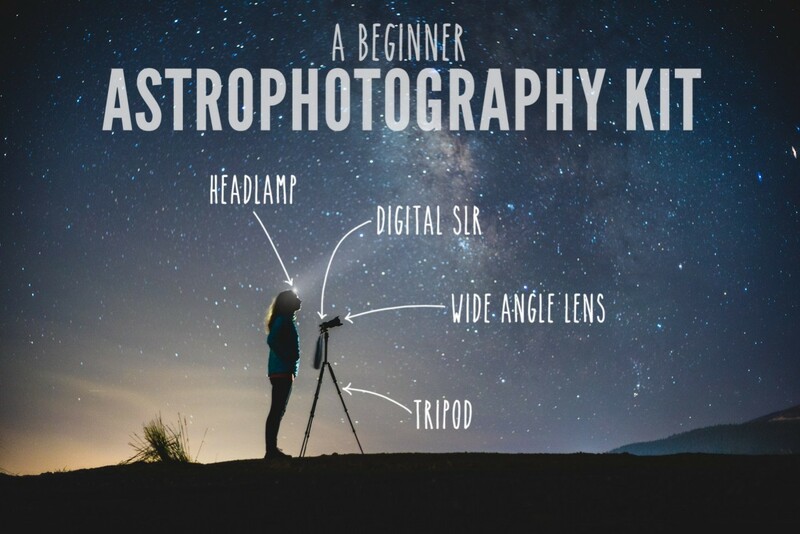 DSLR astrophotography is the easiest way to get started with capturing the mysterious deep sky. Digital single-lens reflex cameras are the most versatile, and you can go from shooting portraits in the daylight to taking pictures of stars, galaxies, nebulae, and other astronomical objects, in the nighttime. DSLR astrophotography has opened doors for everyone interested in one of the most visually rewarding fields of photography. 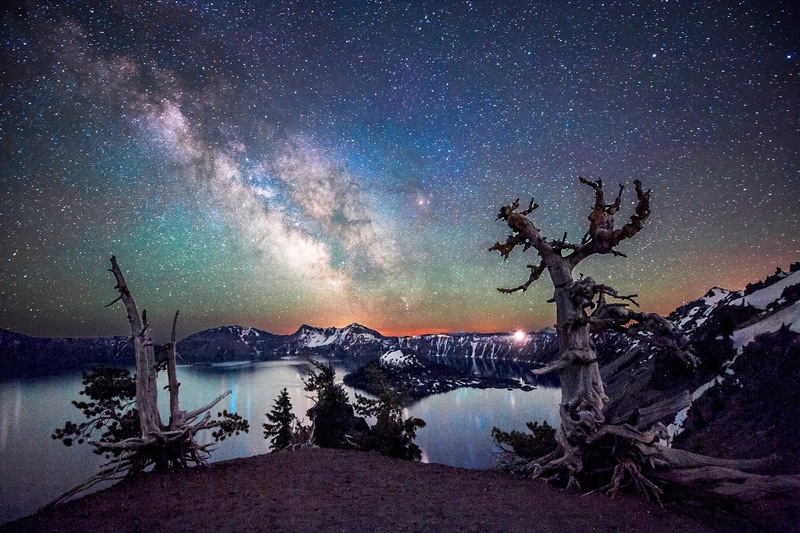 DSLRs are easy to find, easy to use once you learn the ins and outs of making the optimal settings, and they also ensure high-quality images of the night sky. Top that with the fact that you can switch from the removable lens to a telescope that will act as the camera’s lens, and you get a fantastic device that can work just as good as a dedicated CCD camera. Generally speaking, any digital single-lens reflex camera is good enough to get you started with astrophotography. There are many DSLRs available, but those manufactured by Canon are the most appreciated among astrophotographers. It is the first camera maker to have cultivated this niche market with the first DSLR (the EOS 20Da) made specifically for astrophotography. Then, we got the Canon EOS 60Da, the 20Da’s successor, but there is little to no hope you’ll be able to find one to purchase. Although the model has been discontinued, Canon still incorporates many of its great features into the newer models. Nikon is the second best choice, and you won’t go wrong if you pick this specific brand for your astro shots. Now, although DSLRs have the necessary features to ensure stunning images, there is one annoying function that astrophotographers hate. All DSLRs block the far-red end of the visible spectrum. That’s where the hydrogen gas fluoresces. Because of this, many people who are really taking astrophotography seriously have their DSLR modified. Photographers prefer to remove the infrared-blocking filter inside the camera and replace it with one that does just the opposite – conducts more of hydrogen emission’s red light. If you dare to have your camera customized, it is best you have a specialist look at it. Afterward, you will also have to play around with the color balance when shooting in the daytime. One of the features you must look for when shopping for your DSLR astrophotography camera is the “Live View”. It will allow you to focus the lens or telescope far better compared to other methods. When capturing astronomical objects, you will want a wide angle lens. We recommend the following prime lenses for DSLR astrophotography: Rokinon 14mm f/2.8, Samyang 16mm f/2.0, Nikkor 14-24mm f/2.8, Sigma 24mm f/1.4. You will need at least a decent tripod for your camera. Make sure it is stiff and stable, preferably made of carbon fiber. It is also important not to be too heavy because you will have to carry it around everywhere you go. A remote release switch lets you open the shutter remotely and keep it open as long as you push the button. This ensures you get the most reduced vibration and movement as possible when the shutter is opened or closed. A tracking mount is a good, although expensive, investment because it will help you track astronomical objects. There are different types of mounts, but the one you should be looking for is an equatorial mount. Since you will be using it with your DSLR and tripod, look for a compact one, because it will get difficult to carry all this equipment with you on your star-shooting escapades. We suggest you check out the Vixen Polarie mount that comes with a tripod. To shoot astronomical bodies, you will need to focus on infinity. The best way to do that is to use the Live View function and 10X magnification on the subject (star, planet, nebulae, or anything else). The vari-angle LCD screens on some cameras are perfect for this, especially when you point your DSLR at a steep angle. There are a few considerations you must keep in mind. As a rule, always use the brightest object in the deep sky to focus on. Secondly, it would be best to set the lens on manual and set the focus scale to infinity. If the lens has an Image Stabilization feature, you must turn it off. Then, you have to play around with the settings. Set your DSLR astrophotography camera’s lens to the widest aperture, set the exposure mode to manual, use ISO 1600, and set the shutter speed to Bulb for a bright Live View display. One of the basic rules of astrophotography is that faint nebulae and galaxies require a high ISO (800 or 1600) and constellations, stars, and star clusters, need a lower ISO. When using high ISO, unfortunately, you are bound to experience some noise. However, there are plenty of ways to improve your final picture thanks to the many image editing software available on the web even for free. Image stacking also helps reduce that annoying grain. Shutter speed represents the amount of time the shutter is open to receive photons onto the sensor. As a rule of the thumb, you need a long shutter speed in astrophotography. Constellation shots generally run from 10 to 30 seconds. Capturing wide fields can last about 5 to 10 minutes, while shot taken when focusing through a telescope might run about 30 to 90 minutes. Do test shots. Take a series of exposures and then double for each. You can start at 1 second, and then move on to 2 seconds, then 4 seconds, and so on until you get to 30 seconds. You can then examine the results and see what works. Different exposure captures can also be stacked for brilliant final images. Set it to daylight or, better yet, create a custom white balance. Experiment with white balance settings, and try setting it to Tungsten when shooting long exposures of the deep sky. This will fix the sky background which would otherwise take on a brown or red color. As with any type of photography, your picture will not come out just as you wish it would. Your image will either be too dark, too bright, the colors might be off, and you will most likely experience noise when shooting very high ISO pictures. That is undesired, but it is entirely normal. You can acquire an image editing software that is specifically developed for astrophotography purposes. Some popular programs for DSLR astrophotography are Images Plus, DeepSkyStacker, MaxIm DL, or even the standard Photoshop. 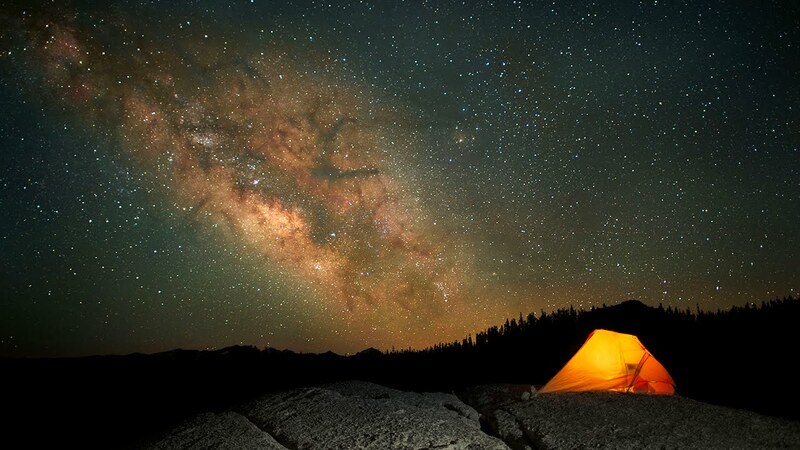 High altitude is preferable, so you might want to consider a hike to get better shots of the night sky. Watch the forecast before planning your observations. Clear conditions are essential to capture stunning images. Leave the city, and try to get away as much as you can from any source of artificial light. Also, shoot in a direction away from towns.